This is an easy method for grilling corn on the cob. The corn will be very tasty and tender. 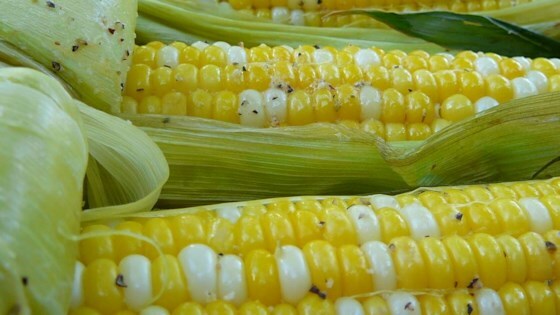 Dovetailing Tip: Grill an additional 2 to 3 ears of corn to be used in the Summer Corn Salad on day 4. Peel back corn husks and remove silk. Place 1 tablespoon butter, salt and pepper on each piece of corn. Close husks.